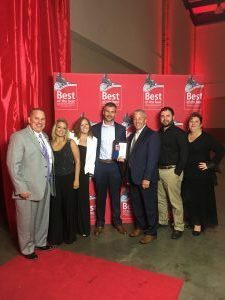 On Thursday, September 27, J103 (Chattanooga) was awarded, for the 7th Consecutive year, the Best Local Radio Station at the Chattanooga Times Free Press Best of the Best Banquet. Winners were decided from a submission survey. Also awarded for the third year was Morning Show Host and PD Ted Gocke as Best Local Radio personality.